Two thirds of fire services in the UK and half of police forces are now using drones or are planning to, Sky News has learned. Specialist ambulance crews, or Hazard Area Response Teams (HART), are also expected to be equipped with unmanned aerial vehicles (UAVs) this year. The aim is to enhance working capability. Drones are already being used for search and rescue operations, and fire and accident investigations. The Mid and West Wales Fire Service has been given Welsh government funding for some of their UAVs. Steve Richards, the service’s station manager, has been trained as a drone pilot and says drones will save lives. UAV training company Sky Futures has trained 12 different emergency services in drone use since September. Frankie Suarez, a drone pilot trainer for Sky Futures, said their programmes have had to evolve due to greater collaboration between police, fire and ambulance crews. He said: “Initially we made scenarios specifically for each service but after a couple of courses we realised they were all interlinking and working together so we managed to develop scenarios that are relevant to what the guys will attend to. Sean Lloyd, station manager at Mid and West Wales Fire Service, said crews have been doing national training exercises alongside police. Hundreds of thousands of pounds is being spent in total, equipping frontline emergency staff. Sussex and Surrey police forces, for example, have been given almost £250,000 from the Home Office to expand on a drone trial at Gatwick Airport. Sussex Police told Sky News the money comes from the Police Innovation Fund which “rewards creative, collaborative and cost saving projects” aimed at transforming policing. “The funding is being used to purchase a number of drones to evaluate their contribution to improving policing across the country,” it said. Other UK police forces have also been using drones in operations for months. Damian Sowry, Chief Inspector for West Mercia and Warwickshire police services, says he is hopeful their joint trial will demonstrate value for money. “I’m expecting to be able to show that we can use these devices to protect the public… in a way that’s cost effective and really helps public confidence,” he said. Federal regulators said Monday that they plan to require recreational drone users to register their aircraft with the government for the first time in an attempt to restore order to U.S. skies, which have been invaded by rogue flying robots. U.S. officials said they still need to sort out the basic details of the registration system but concluded that they had to take swift action to cope with a surge in sales of inexpensive, simple-to-fly drones that are increasingly interfering with regular air traffic. “The signal we’re sending today is that when you’re in the national airspace, it’s a very serious matter,” Transportation Secretary Anthony Foxx told reporters. Pilots of passenger planes and other aircraft are reporting more than 100 sightings or close calls with rogue drones a month — a significant increase just in the past year, according to the Federal Aviation Administration. Under FAA guidelines, drone owners are not supposed fly their aircraft above 400 feet or within five miles of an airport without permission. But the rules are widely flouted, and officials have been largely powerless to hunt down rogue drone operators. Requiring drones to be registered will be of limited use for investigators unless the remote-controlled aircraft crash and a registration number can be found. Most drones are too small to appear on radar and do not carry transponders to broadcast their locations. But regulators hope that forcing owners — many of whom are aviation novices — to register their drones with the government will at least make them think twice about their responsibility to fly safely and the possibility that they could be held accountable for an accident. The FAA and the Transportation Department are setting up a task force composed of government officials and industry representatives to devise the new registration system. Foxx said the group has until Nov. 20 to finalize its recommendations so the government can set up the registry before Christmas — the peak season for drone sales. “We do intend to move very quickly,” he said. The task force will have to wrestle with the basic question of size limits and what kinds of drones will have to be registered. Most consumer models weigh only a few pounds and resemble toys, but many can easily reach altitudes above 1,000 feet. Foxx said the registration rules will also apply to people who have already bought drones in recent years, not just new owners. He said the FAA would impose penalties — which he did not spell out — on anyone who does not comply. Nobody knows exactly how many of the robotic aircraft are flying around, but most estimates top 1 million. The Consumer Electronics Association, an industry group, estimates that hobbyists will buy 700,000 drones in the United States this year, a 63 percent increase from 2014. In addition to snarling air traffic, nuisance drones across the country have interfered with firefighters, flown into tall buildings and crashed into bystanders on the ground. Criminals have used them to smuggle contraband into prisons. Some property owners have become so irritated by drones buzzing overhead that they have gotten out their shotguns and opened fire. In general, the drone misadventures have been taking place in a regulatory vacuum. The FAA has banned most businesses from flying drones until it can finalize new safety rules — a step that will take at least another year. But hobbyists who fly drones for fun are largely unregulated. Under a law passed by Congress in 2012 to protect model-airplane enthusiasts, the FAA is prohibited from imposing new restrictions on recreational drone owners. As a result, they have not been required to obtain pilot licenses or undergo training. Although the FAA lacks the authority to license recreational drones, it does have the power to impose civil fines on anyone who recklessly interferes with air traffic or endangers people on the ground. Foxx also said the FAA has the authority to require the registration of any aircraft that fly in the national airspace — manned or unmanned. MENLO PARK, Calif. — Facebook on Thursday revealed more details about its plan to find cost-effective ways to provide Internet access to the 10% of the Earth’s population that lives far from cell towers or land lines. 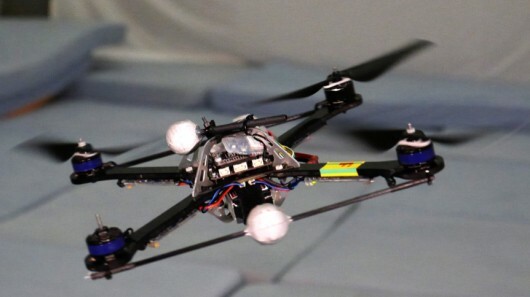 The solution: Drones the size of a Boeing 737 — launched by helium balloons. Powered by the sun, each 1,000 lb. drone would fly lazy circles more than 11 miles above the Earth, providing broadband-level Internet for people in a 50-mile radius below. The team’s dream is “a backbone of the Internet using lasers in the sky,” said Yael Maguire, director of Facebook’s Connectivity Lab. The planes, dubbed Aquila, (Latin for “eagle”) would be unmanned. Each would spend three months aloft before slowly floating down to earth “like a feather” for refit, said Jay Parikh, vice president of engineering at Facebook. The effort is part of a project launched a year ago by Facebook’s Connectivity Lab to provide Internet access to the 4 billion people around the world who currently lack it. While many people live in sufficiently connected or urban areas where current methods, such as wires and cellular phones, can provide Internet access, millions of people live where a connection isn’t possible. “Standard telecommunication infrastructure doesn’t reach them. If they pulled out a phone, it would have nothing to connect to,” said Parikh. Facebook has set out to find a way to give it to them. The answer the company’s engineers have come up with involves sending planes that can beam down access far above commercial airspace, where there are no commercial flights to run into and no weather to interfere with flight. The plane, which is virtually all wing, is about 100 feet wingtip to wingtip. “If you’re thinking of your little quad copters, this isn’t what we’re building,” said Parikh. 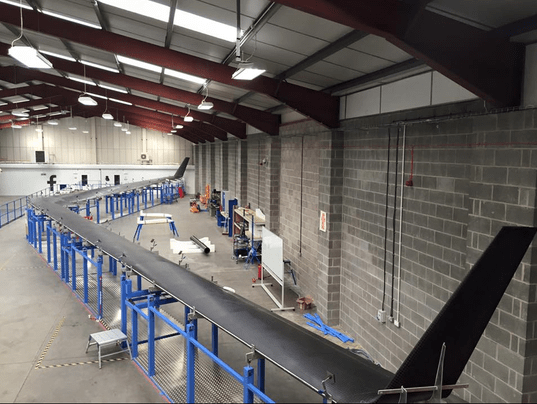 The first test vehicle was built this year by Ascenta, a Somerset, England-based solar drone company that Facebook purchased in 2014. One of Facebook’s biggest breakthroughs in the project has been increasing data capacity of the lasers that will connect the planes with a land-based fiber line that is the link to the Internet. Facebook’s team has developed a system whose ground-based laser can transmit information to a dome on the underside of the plane at rates 1,000 times faster than has previously been possible. It’s something like reading a CD with a laser head just after it’s been thrown into the air like a Frisbee — from 11 miles away. None of this means Facebook plans to go into the ISP business, or airplane manufacturing, said Parikh. “Our intention is not to be an operator here. We want to inspire and get the industry to move faster,” he said. Facebook’s team plans to spend the second half of 2015 doing structural tests on the one plane they’ve build, “making sure it flies,” said Parikh. “We still have development to go on the batteries, solar cells and avionics, there are huge challenges, this has never been done before,” said Maguire. PITTSBURGH  Amazon wants to use them to deliver orders. One hovered over a Pittsburgh Pirates baseball game last summer. And earlier this year, one crashed onto the White House lawn. Drones are not everywhere yet, but once the Federal Aviation Administration fine-tunes the rules for commercial drone use, thousands of companies could receive licenses to do business via unmanned aircraft. Using a drone for business purposes poses a host of potential legal issues, with privacy concerns at the top of the list, according to attorney Doug Wood. He recently co-authored a white paper titled, “Crowded Skies,” which explores the legal implications for companies using drones in the course of doing business. The FAA’s draft rules, released in February, are now subject to a public comment period that ends April 24, according to agency spokesman Jim Peters. Under the proposed rules, commercial drones under 55 pounds would have to be registered with the FAA, and operators would have to pass a written proficiency test and pay a fee. Commercial users would not have to be licensed pilots, but would only be allowed to fly the drones during daylight hours if the draft rules are adopted as written. The FAA began allowing drones in the country’s airspace in 1990, but with restrictions on commercial use. Companies must obtain what’s known as a Section 333 “special airworthiness certificate” to receive an exemption that allows limited commercial applications. Wood said the most prevalent users of drones for commercial purposes at present are motion picture studios. But for new changes proposed in February, known as Part 107, it’s expected to take much longer before the rules are official. In the meantime, last month the FAA said it would issue waivers to companies that already have the exemption allowing them to operate drones for commercial purposes for flights at or below 200 feet, according to Peters. Wood pointed out that since so many drones are so quiet, the aircraft could be directly overhead before it’s detected by people on the ground, which is why the privacy issue is usually the first one to consider. And if a movie producer uses a drone for filming, what responsibility does he or she have to avoid encroaching on private property or filming someone who doesn’t want to appear on camera? Would trespassing rules apply, or could a drone flying overhead be considered an invasion of privacy? Or, if a company wants to use drones to capture security camera footage, what should the limitations be on how that footage can be used? There also are considerations for liability. For instance, what steps does a commercial drone user have to take to be sure its aircraft doesn’t crash and injure someone? What level of insurance, if any, should a drone user carry? 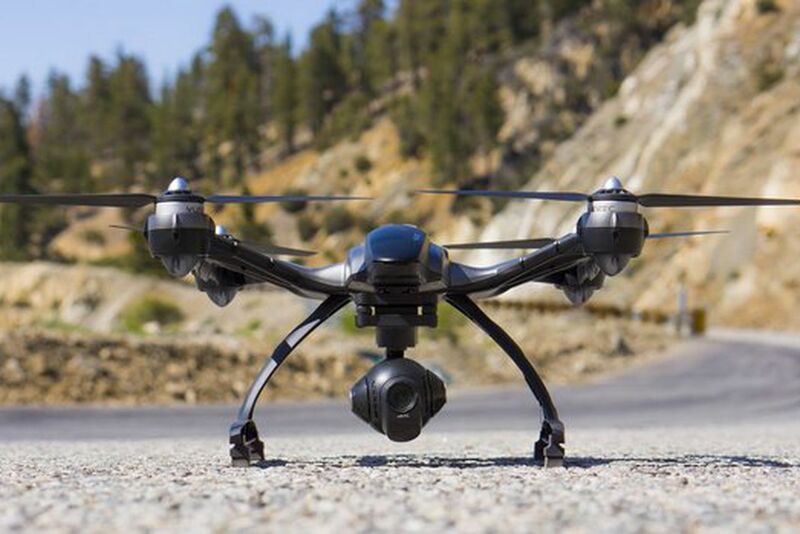 While the FAA continues to work on its rules, drone technology is outpacing the regulations. According to a report last month in The Guardian, Amazon is testing its drone delivery services in Canada, apparently frustrated by the slow pace of the U.S. government’s action. While the laws surrounding drone use lag behind the technology, Wood said commercial operators who don’t consider the potential legal risks before launching their drones do so at their peril. While drones have generated controversy for their use in war zones as well as fascination for their potential use in delivering everything from pizzas to packages, unmanned aerial vehicles also hold the promise to revolutionize archaeology. Learn how archaeologists are employing the most high-tech of tools to discover and protect the most ancient of artifacts. Archaeologists are increasingly discovering that the best way to find out what is hidden below the ground is to take to the skies. According to an article in the May 2014 issue of the Journal of Archaeological Science, researchers last summer employed a pilotless aircraft to learn more about an ancient village that lurks beneath the layers of dusty soil and sagebrush of remote northwestern New Mexico. University of Arkansas archaeologist Jesse Casana and University of North Florida professor John Kanter outfitted a remote-controlled, eight-rotor mini helicopter with a heat-sensing camera that revealed buried structures in the 1,000-year-old settlement known as Blue J, approximately 40 miles south of Chaco Canyon, an ancient Pueblo cultural and religious center. The heat-imaging revealed stone rubble, ceremonial pits and the footprints of houses lurking beneath the desert landscape, discoveries that in the past would not have been possible without disturbing the site. Kanter told the Associated Press that the use of drones saved archaeologists considerable time and money. “Really within a few hours we were able to survey this area that took me a long time, years of what we call ground reconnaissance and excavation to see what’s below the surface,” he said. “So this is great for quickly and pretty cheaply being able to find sites.” Plus, the aerial information will allow researchers to pinpoint exactly where they should dig. For decades, archaeologists have known about the promise that heat-imaging holds in locating cultural remains buried underground because bricks and stone walls retain and emit warmth differently than the surrounding soil. However, low-altitude flights were needed in order for aerial thermography to be effective, something that wasn’t technologically or economically feasible until the development of affordable pilotless aircraft. In the past, archaeologists seeking bird’s-eye views needed to access satellite data, strap equipment to kites or balloons or rent crop dusters, but these failed to provide the more detailed views offered by drones and could be expensive. Small drones that can be operated with a radio-controlled handset cost around $1,000, and instructional websites such as DIYdrones.com are democratizing access to technical information. Archaeologists are employing drones for additional uses besides aerial thermography. They are attaching infrared sensors, magnetometers, barometers and GPS devices on craft to assist in their work. In locations throughout the Middle East and South America that have been prone to looting, archaeologists are mounting video cameras on drones to keep an eye out for vandals, protect sites from destruction and create a digital record of ruins for posterity in case any damage reconstruction needs to be undertaken. Pilotless aircraft are assisting researchers in creating data-rich, three-dimensional maps of archaeological sites. Since drones skim close to the ground, they can measure topographical changes within an accuracy of half-an-inch. The time-consuming task of mapping that previously had been done by hand and could take months and years can now be done in a matter of days. Archaeologists are also employing unmanned aircraft to explore remote locations that they cannot safely reach. The flipside is that tomb raiders and antiquities traffickers interested in plundering ancient artifacts could have access to the same capabilities. By making these remote locations more accessible, the risk increases that they will not be kept intact. While drones hold the promise of revolutionizing archaeology, potential obstacles remain. With current technology, flights usually can last only a maximum of fifteen minutes, and the mini helicopter used by the archaeologists in New Mexico has a tendency to suddenly stop and crash to the ground. And as drones have proliferated, so have safety and privacy concerns. A Pew Research Center poll released last week found that 63 percent of Americans believe that allowing personal and commercial drones to fly through U.S. airspace would be a change for the worse. While “hobbyists” are allowed to fly drones at low altitudes, the Federal Aviation Administration (FAA) currently prohibits their commercial use. However, the FAA is working to develop operational guidelines on the commercial application of drones by the end of 2015. Any easing of restrictions on the commercial operation of drones holds the promise in aiding the future work of archaeologists. It makes perfect sense. Burning buildings are very dangerous places for people to enter, so when there’s a fire that needs to be put out, why not recruit robots to do the dirty work? That’s exactly what Dubai Civil Defense is doing this year. The emergency management organization just bought 15 quadcopters that it plans to use for patrolling high-risk areas like industrial zones for fires. In the event of a fire, Civil Defense plans to deploy the drones to inspect the scene so that they can assess how best to handle the situation. They’ll also use three drones while fighting the fire—one to do reconnaissance, one to assist firefighters, and one to take pictures for the media. 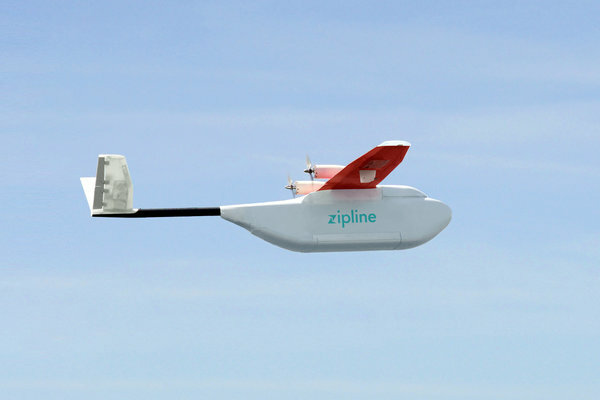 While everyone is freaking out about Amazon’s plan to unleash an army of delivery drones on the world, it’s important to remember that these flying robots can do much more than just move packages. Sounds a lot better than running into a burning building, doesn’t it? Well, just add it to the list of the good things that drones actually do. 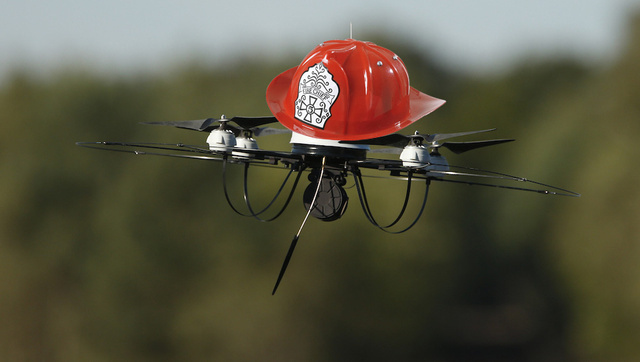 Of course, this won’t be the first time drones have been used to help fight fires. Unmanned aerial vehicles have become an increasingly common part of the teams that fight wildfires. They’re mainly used for spotting and aerial photography so that firefighters can try to predict what the wildfires will do next. It’s interesting to see that same strategy applied to an urban center. 2014 may begin to show drones as useful servants and not just machines of war. Luis Jaime Castillo, an archaeologist at Catholic University in Lima, Peru, flies a drone over an archaeological site in Trujillo, Peru, in August 2013. Archaeologists are turning to drones to speed up survey work and protect sites from squatters, builders, and miners. Falling prices mean drones are increasingly used for civilian and commercial projects around the world. Military drones bring to mind an angry Zeus, the Greek god who hurls his lightning bolts from the sky at enemies below. But 2014 may be the year that drones take on more of the image of Hermes, the messenger and friend of commerce. Amazon chief Jeff Bezos helped kick-start an ongoing conversation about a softer side of drones Dec. 1 when he introduced TV viewers to a delivery drone on CBS’s “60 Minutes” news show. 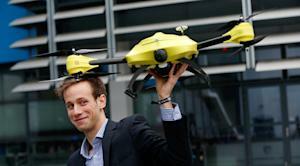 Amazon’s “octocopter” could be delivering small packages to homes within a few years, he predicted. On Monday the Federal Aviation Administration announced that it had approved six sites around the United States to begin testing commercial drones and exploring just what technological, legal, and logistical challenges they will present. The FAA expects test drones operated by the facilities to be in the air by mid-2014. Of course, it may be a decade or more before thousands are in regular use in US skies taking on a wide variety of missions. Many questions still need answers. Can unmanned drones share airspace safely with both each other and manned aircraft, including airliners? Drones will need some level of artificial intelligence, in case they lose radio contact with the ground. And what about privacy? 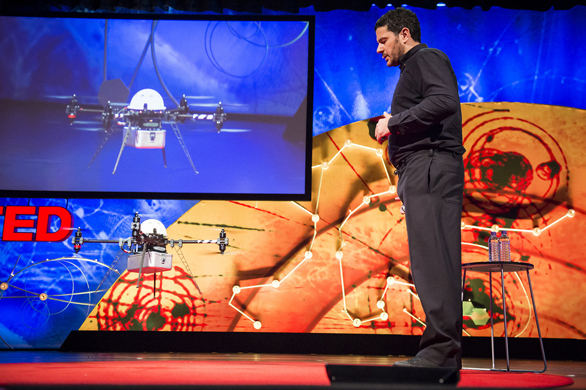 What restrictions should be placed on the places drones can fly and the data they can collect? These are important questions, and good answers must be found before widespread use is allowed. Possible benefits to the US economy make drones more than a science-fiction curiosity and worthy of more research. One estimate predicts the drone industry will create 70,000 new US jobs by 2017. Another puts worldwide sales of drones, both military and commercial, as high as $89 billion within a decade. The US Department of Transportation is also bullish on drones, projecting in one study that nearly 250,000 civilian and military drones will be in use in the US by 2035. Far beyond being an exotic way to deliver a Kindle or a pizza, domestic drones could serve many useful purposes. They could inspect high-rise buildings or power lines for problems or check on a farmer’s field from above. And like ground-based robots, they could be used by fire and police departments to put eyes and ears into a dangerous location, keeping humans out of harm’s way. The Internet now moves ideas around the globe at the speed of light. 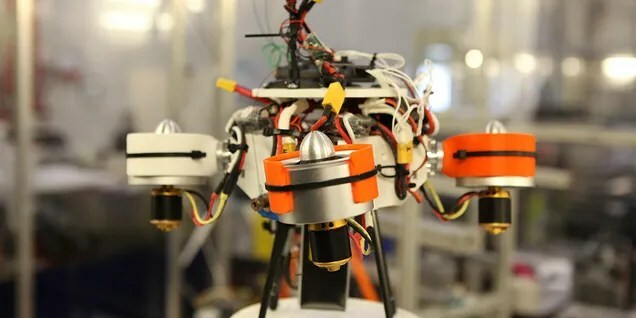 Drones promise to speed up the way physical objects move around and give people more knowledge about their world – if these high-flying unmanned messengers can be controlled by strong rules that guard safety and privacy. 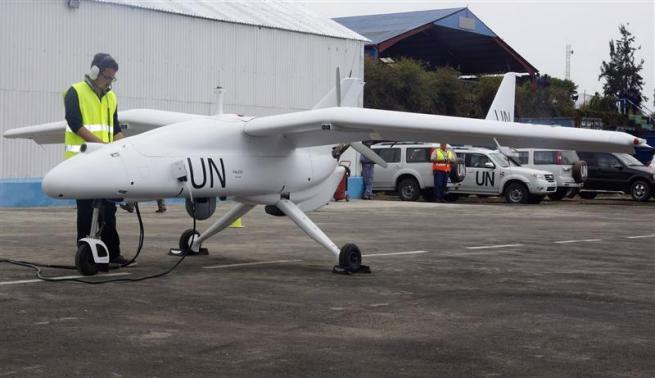 (Reuters) – United Nations forces in Democratic Republic of Congo launched unmanned aircraft on Tuesday to monitor the volatile border with Rwanda and Uganda, the first time U.N. peacekeepers have deployed surveillance drones. The aircraft will be used to look out for threats from a host of local and foreign armed groups in the mineral rich east where Congo and U.N. experts have accused Rwanda and Uganda of sending arms and troops to back the recently-defeated M23 rebels, something both countries deny. “The drones … will allow us to have reliable information about the movement of populations in the areas where there are armed groups,” U.N. Under-Secretary-General for Peacekeeping Operations Herve Ladsous said at the launch of the drones in Goma, the largest city in eastern Congo. “We will survey the areas where there are armed groups, and we can control the frontier,” he added. The U.N. mission has deployed two Falco drones manufactured by Selex ES, a unit of Italian defense group Finmeccanica. One of the 5-metre (16-ft) long aircraft – painted white with the letters UN in black on its wings and tail – performed a demonstration flight for the crowd at the launch. The drones will be flown out of Goma by Selex staff. They can fly for between eight and 14 hours and as far as 200 km (125 miles) from their base, according to the company. U.N. peacekeepers have received widespread criticism for doing too little to end fighting in eastern Congo, a hilly and thickly forested region that Kinshasa has struggled to control during two decades of virtually constant conflict. But the drone deployment comes after the peacekeepers helped defeat M23, the most serious rebellion of President Joseph Kabila’s 12-year rule. General Carlos Alberto dos Santos Cruz, commander of the U.N. force in Congo, said the drones would only fly over Congolese territory, as U.N. peacekeepers have no mandate to operate in neighboring countries. Victory over M23 was the first time Kinshasa had militarily defeated a major uprising in the east. It was helped by strong U.N. support, major reforms in Congo’s army and intense diplomatic pressure on Congo’s neighbors to halt rebel support. Congo and U.N. experts say foreign backing for M23 was significant. Following the defeat, experts are examining the origin of a significant stash of weaponry and trucks found at M23’s bases in hills along the Rwandan border. The drones were due to be launched as early as September, in the hope of monitoring the conflict taking place on the border. However delays meant they arrived only after M23 was defeated. While a final political deal with M23 is still being ironed out, Congolese and U.N. forces are now expected to turn their attention to the Rwandan Hutu FDLR rebel group and Ugandan ADF-NALU rebels, both of which are based in Congo’s east. With one possible exception, autonomous quadcopters are not something that you would expect to be inexpensive. A relatively cheap model may indeed be on its way, however. Designed by the Vienna University of Technology’s Virtual Reality Team, the tiny aircraft utilizes the processor and camera of an off-the-shelf smartphone. The Vienna team, led by chief engineer Annette Mossel, programmed the quadcopter’s navigation software into the processor using an app. Once in flight, the UAV uses the phone’s camera to identify QR-like coded squares placed on the floor within a room. These allow it to create a map of the room, so it can subsequently find its way around the space on its own. Ultimately, plans call for it to be able to identify actual objects naturally present in a room (such as tables and chairs) using a Kinect-style depth sensor, and create its map using those. The smartphone bits and pieces are the most expensive components of the quadcopter, with all of its parts together worth less than €1,000 (US$1,333). It is hoped that eventually, a commercial descendant of the aircraft could be used for things such as monitoring illegal forest clearing in developing nations. Perhaps its price could be brought down further if it came without a processor of its own, and users just docked their own smartphone into it – as is already the case with some small, wheeled robots. It can be seen in flight in the video below.